Way back in October the scenery challenge started and it ran for a good few months so that those entering could really spend some time on their constructions. The challenge closed back in March, and I’m very sorry that we haven’t got the vote up online until now (due to admins moving house and having no internet). Below you will find the finished scenery pieces and a short description of each, part of the challenge was to produce a WIP and there are links to where you can find these for each entry, so you can really see what went into each one. I recommend having a read through of these, or at least a scroll through before you vote. More people entered than finished, so there are only two entries below. 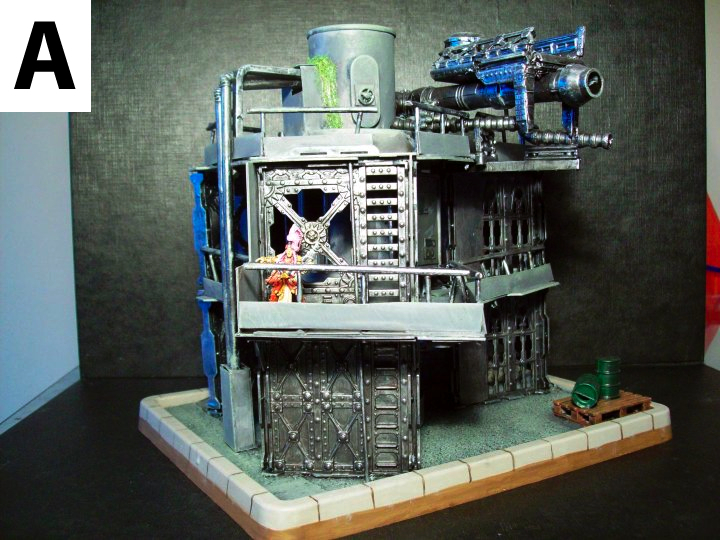 For my entry for the scenery challenge, I decided to revamp my old Necromunda scenery. A lot of the card sections are getting a bit beat up now and I dread packing and unpacking for games now, lest it fall to pieces!! So I’ve set about rebuilding it to make it much more durable…and hopefully a bit more eyecatching too. Click to read the full WIP. The basic idea is to have a large fixed board (or boards) underneath, and then small boards on top that can be re-arranged to make the scenery desired. 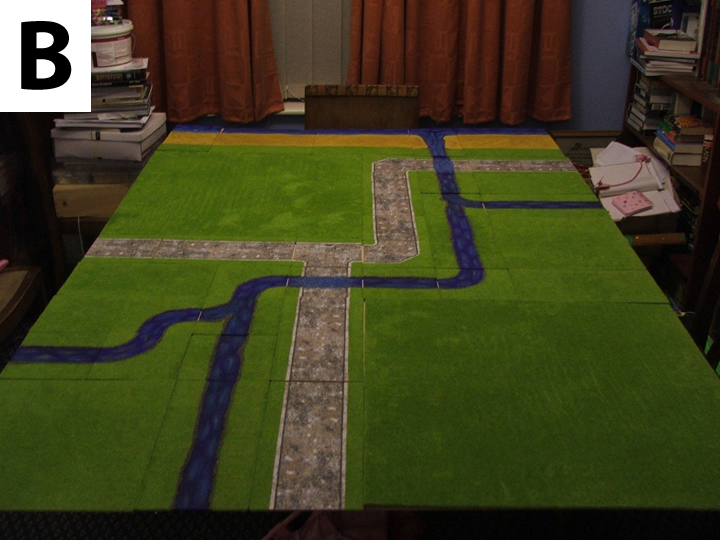 I’ve managed to make enough terrain to cover an 8×4 foot board – but I’ve only space to set out a 6×4 board at home. You’ve seen the finished entries and read the WIPS, so now it’s time to vote – use our simple form. It’d be great if you could confirm your vote by adding a comment to this page. The results will appear on this site in a week or so’s time. This entry was posted on April 26, 2010 at 10:20 am and is filed under Competitions. You can follow any responses to this entry through the RSS 2.0 feed. You can skip to the end and leave a response. Pinging is currently not allowed. Voting has now closed – results will be published soon. VOTED! i like both sceneries! Voted. Some good ideas here I’m gonna pinch! Voted. Really liked both for very different reasons! Voted. Thanks Dave, same goes to you. I’ve voted. A very nice piece of scenery, Ed! 🙂 Thanks for the positive feedback and encouragement during the build!